This popular 11"x17" printer includes a JetDirect card for connecting to a network, 12MB RAM, and an extra 500-sheet cassette tray. 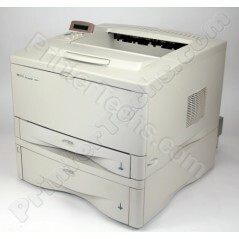 This workhorse 11"x17" printer includes a JetDirect card for connecting to a network, 12MB RAM, and an extra 500-sheet cassette tray. Great for CAD drawings & screen printing.